Since 1956, HCPT has offered life-changing week-long pilgrimage holidays to Lourdes, France, for disabled and disadvantaged people. Such holidays are with small groups of prepared volunteer helpers. 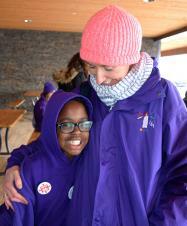 HCPT's Easter pilgrimage holidays are for disabled and disadvantaged children and young people. HCPT groups stay in hotels in Lourdes. Since 1975 Summer pilgrimage holidays have been offered by HCPT, for disabled and disadvantaged people of all ages. Groups stay at HCPT's Hosanna House in Bartres, in the hills above Lourdes. Click here for more information about the spiritual foundation of HCPT's work and its pilgrimages to Lourdes. Thank you. The theme for HCPT's 2019 Easter and Summer pilgrimages is "Cariad - God's love is the best love". 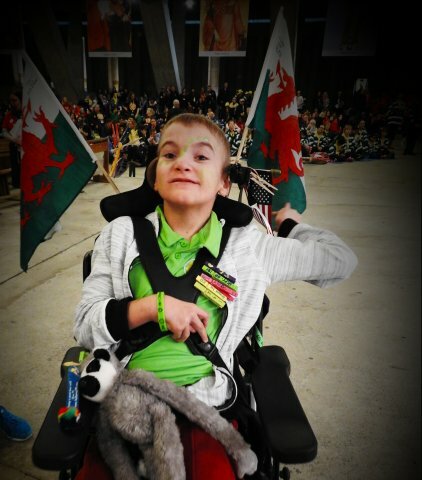 It has been developed by HCPT Wales. Cariad is an important word is Wales, it means love. Love is a universal feeling which is felt by every living being on this earth. It describes the sense of attachment and affection you can feel towards somebody or something. The word, 'Cariad' can also be used as a term of affection whilst talking with people you are close to. The Welsh also use the word, 'Cwtch' which means a warm hug or cuddle. The most important thing we can do as Christians is love God and love people. But before we can love anyone, we have to receive God's love. Because you can't give away something you don't have. May you receive God's love and share this with your HCPT family. Share a cwtch or call someone, 'Cariad'. May God's love always be with you.